Controversial EU Copyright Directive approved: enhanced rights for copyright owners or the end of internet freedom? This week, on the 26th March 2019, the European Parliament approved the controversial EU Directive on Copyright in the Digital Single Market [“the Directive”] which will now pass on to the European Council for final approval by Member States. Should the amended text of the Directive be adopted, Member States will have 2 years from publication to implement it. to provide fair remuneration in contracts of authors and performers through transparency obligations, appropriate remuneration adjustment mechanism and alternative dispute resolution procedures in cases of dispute. 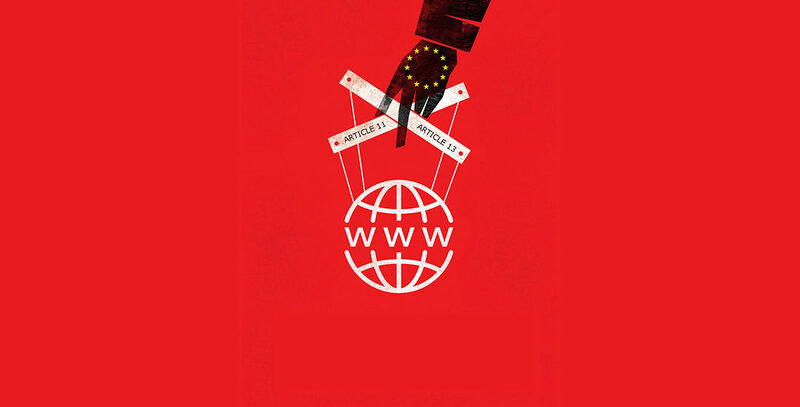 The controversy arose between, on the one hand, EU lawmakers who wanted to correct the imbalance in remuneration between tech giants and all content creators, musicians and authors who deserved fairer compensation for their copyrighted works which were being exploited online, and, on the other hand, big tech companies who argued that the vague law was making them liable for all infringing content uploaded on their sites and internet activists who warned against restrictions in online information. Social media platforms claim that they do not have the means of combing through all uploaded content for infringing material and they will be forced to create filters that will block anything suspicious. Moreover, the ‘link tax’ which big tech companies are being obliged to pay in terms of shared revenue with publishers will lead to websites reducing published content and users finding it harder to access information. The original text of Article 13 (newly amended Article 17) which holds tech companies responsible for all uploaded content on their sites including those without copyright license created fears over the future of ‘memes’ and ‘GIFs’ which would be blocked by new add on filters blocking infringing content. In a world of daily digital ‘liking’ and ‘sharing’ and the creation of funny ‘memes’ and ‘GIFs’, the idea that no one would be able to freely share any online content without getting into an infringement dispute with a rightsholder led to an online tweeting storm advocating against #Article13 and #saveyourinternet. The final text approved by the European Parliament claims to bridge the controversy by upholding the initial objective of giving fairer remuneration to authors, musicians and content creators whose work is exploited digitally whilst “guarantee(ing) that the internet remains a space for free expression” by exempting ‘memes’, ‘GIFs’ and ‘snippets’ and distinguishing between upcoming innovative start-ups and big tech companies profiting from the current system. Despite the best efforts of the European Parliament to tackle everyone’s concerns, time will tell how the final directive will be implemented and interpreted across borders and its impact on internet freedom. For further information on Copyright or Intellectual Property, kindly contact Dr Sarah Galea or any other member of IURIS Advocates.